One of the very first steps of creating a website is registering a domain name. In this article, you are going to be creating your domain registration account using Namecheap. Namecheap is one of the best options out there based on customer service and price. Note: If you already have a website domain registered, then it is possible for you to keep your registration with that same company. As discussed in a later section, you will have to research how to change your DNS nameserver for your other company instead of Namecheap. 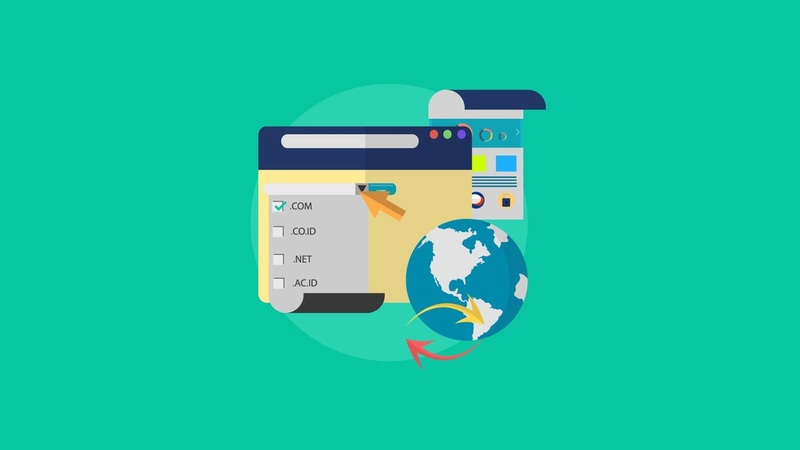 If you are starting a brand new site and have not registered your domain name before, then you will want to follow these steps. Namecheap: Go to Namecheap's website by clicking here. Search Domain: Select the Search Domain option (which is selected by default) in the drop down to the left of the search box in the middle of the screen. Search: Click the search magnifying glass icon on the right side of the search box. Select Domain: Find the domain name that you want in the list, and then click the shopping cart plus sign icon on the right side of it. This will add the domain name to your cart. View Cart: On the right side of the screen, click the "View Cart" button. There are other services below the above options that you can sign up for, however most new users leave these off. Confirm: On the right side, click the "Confirm Order" button. Account Setup: Next, you will want to create an account by filling in your information and clicking the "Create Account and Continue" button. You will then need to enter your account contact information on the following screen. If you already have a Namecheap account, you can simply login instead. Whois Contact Info: On this screen, you will be asked to verify the contact info that will be submitted to Whois. Check that this info is correct or change it as necessary. If you selected privacy protection from before, then there will be a checkbox at the bottom confirming that you want to turn on protection right away, which is the default. When you are ready, continue. Payment Method: Fill in your preferred payment information and continue. Order Review: Review your order to confirm that everything is correct, then click the pay now button. Purchase Summary: You will be taken to a purchase summary screen where you can scroll down and to the right of the domain that you just bought, you can click a "manage" button. If it takes you to the dashboard or domain list, you can click the manage button again to the right of your domain name. Here you can change anything related to the domain name. Verify Namecheap Account Email: Namecheap will send you an email requesting that you verify that email address by clicking on a link. Simply follow the instructions and you will get a confirmation screen from Namecheap. Problems: If you have some unexpected errors or problems arise, in order to address them, you may need to submit a ticket with Namecheap support. You can do this by logging into your Namecheap account and at the top left, click the "Support" drop down, then you can use the "Live Chat" or "Submit a Ticket". If you click Live Chat, scroll down to the bottom of the next screen and there will be a button to start a live chat session. For more advanced users, if you have already registered a domain with another company in the past, but want to transfer that domain to Namecheap, then follow these steps. For your previous domain registration, select to "not renew" any registrations or services for that domain with that previous company because when you transfer the domain, that account will no longer be valid for the domain. Most companies normally will not renew anything once this happens, but some have finicky systems that might charge you when the renew date comes up, even though you transferred the domain to another company. Disable Privacy Protection: Next, go ahead and disable (or sometimes called pause) your privacy protection in your existing registered domain account. It can take up to a full day before the information propagates through the internet, so you might have to do this step and then wait up to 24 hours. Sometimes, it may be quicker, like within 10 minutes. You can check the current status to see if your personal contact information shows up here. When your contact information shows up as your personal info, you can go to the next step. Unlock Domain: Now you will need to unlock your existing registered domain through your account with your prior registration company. Typically, it can take up to 1 day for the status of unlock to show up on Namecheap's interface after you unlocked it. You can go ahead and proceed to the next step without waiting and Namecheap will complete the transfer when your domain is unlocked. Get Code: Next, you need to get a special code from your existing registered domain account. It is often called an authorization or EPP code. Copy it and put it in a safe place so that you can use it later. Checkpoint: With your privacy protection disabled (or paused) and you can confirm that your personal contact information shows up on Whois, with your domain set to unlocked, and with your authorization EPP code ready, it's time to initiate a domain transfer with Namecheap. Go To Namecheap: Go to Namecheap's website by clicking here. Transfer Domain: Select the Transfer Domain option in the drop down on the left side of the search box. Domain Name: Type in your desired domain name in the search box (add the .com/.net/.org/etc at the end). Transfer Checklist: On the next screen, you will be shown the lock status of your domain. If it is still showing "locked", you can still proceed. You need to check all of the boxes that confirm that you understand that you are transferring the domain, have access to the admin email account, and have disabled privacy protection. Then enter in your authorization code (EPP) that you saved from earlier. Add To Cart: Click the shopping cart plus sign icon on the bottom right of the window. This will add the domain name to your cart. Review Order: On the next screen, verify that your desired settings are correct. You can change the following: a) Domain registration length from 1 to 5 years, b) WhoisGuard enabled (default) or disabled, when enabled, this feature will hide your private info and Namecheap will appear as the owner of the domain, c) Auto-renew enabled or disabled (default) for all of the above options, d) Most people choose: 1 year registration with auto-renew enabled, e) WhoisGuard enabled with auto-renew enabled, and d) There are other services below the above options that you can sign up for, however most new users leave these off. Confirm Order: On the right side, click the "Confirm Order" button. Purchase Summary: You will be taken to a purchase summary screen where you can scroll down and to the right of the domain that you are transferring, you can click a "manage" button. After you click the button, you should see a status message that says something like "transfer will begin shortly". Email Confirmation: In about 10-30 minutes, you should receive an email to your Namecheap account email address from Namecheap, requesting that you accept their registration agreement. They will give you a website link in that email that you need to click on, read the agreement, and then when you agree, follow the instructions to approve the agreement. Release Domain: For the next step, if your prior registration company allows it, you should go back to your prior account and release the domain transfer. You should be able to do this through the same interface where you got the authorization code previously, or they may send you an email with a link to allow you to confirm the release. It may or may not take a little while before this option becomes available, depending on the company. Transfer Complete: It will take a little time for things to finalize. When the transfer finishes, Namecheap will send you an email. You will then be able to access the domain from Namecheap's dashboard. Verify Contacts: In the Namecheap dashboard, click on "verify contacts" down arrow and then "manage" on the right side of your transfer domain. Scroll down until you see "Registrant Contacts" and if the information is correct, click the "verify" button. This info should be your personal contact information. If the info is wrong, you can edit it. There should be an option to apply the changes to all of the contact info boxes in that interface. Give It Time: These steps can take some time in between them, so be patient. After you have registered your domain, the next step is to get web hosting.